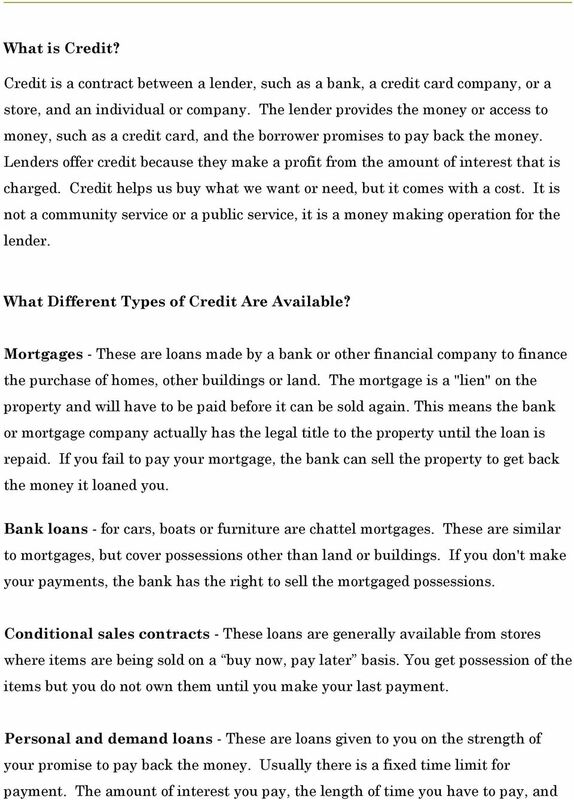 Download "What is Credit? 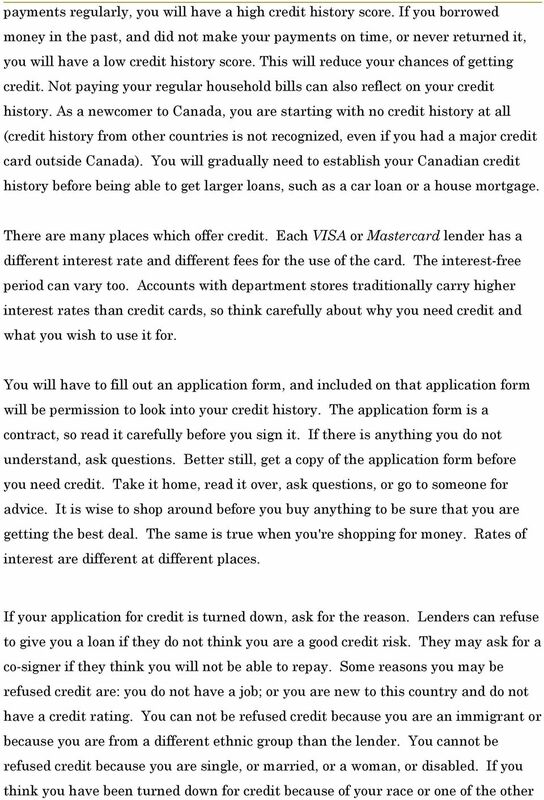 What Different Types of Credit Are Available?" 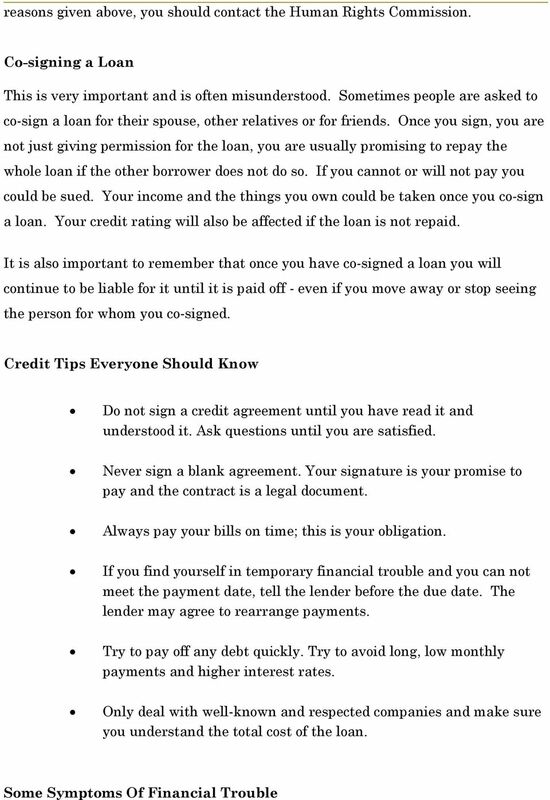 Credit arrangements can be formal or informal. The three most common types of credit used by consumers are described below. WHAT CAN I DO IF I CAN T PAY MY DEBTS? T H E S TAT E B A R O F C A L I F O R N I A WHAT CAN I DO IF I CAN T PAY MY DEBTS? GET THE L E G A L F A C T S O F L I F E What can I do if I can t pay my debts? 1 Can my property be taken to pay a debt? So, What s the Score? So, What s the Score? 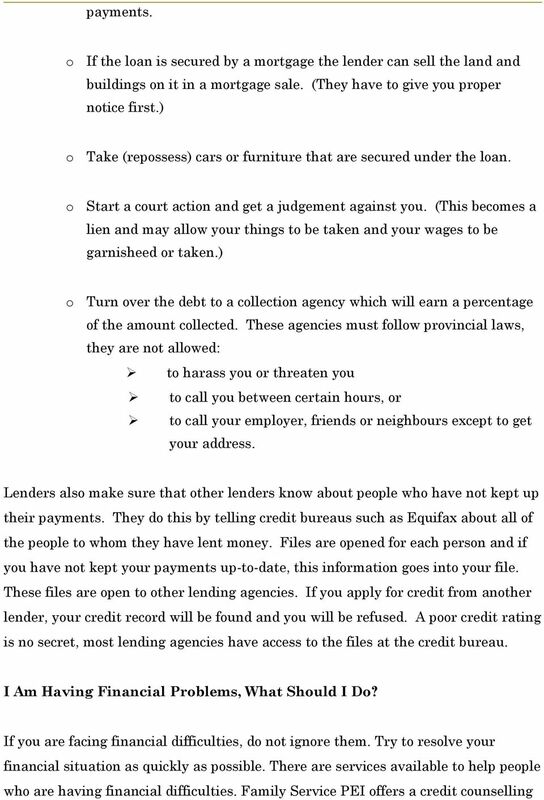 LandlordZONE May 2005 It s important for landlords, and for tenants too, to know the score in other words, to know about Credit Scores and to know how to check your own credit files. Car Title Loans. What is a car title loan? How does a car title loan work? Improve Your Credit Put Bad Credit Behind You Improve your credit While it s possible to get by without credit, access to credit is essential for buying a home, financing a car or getting a credit card. 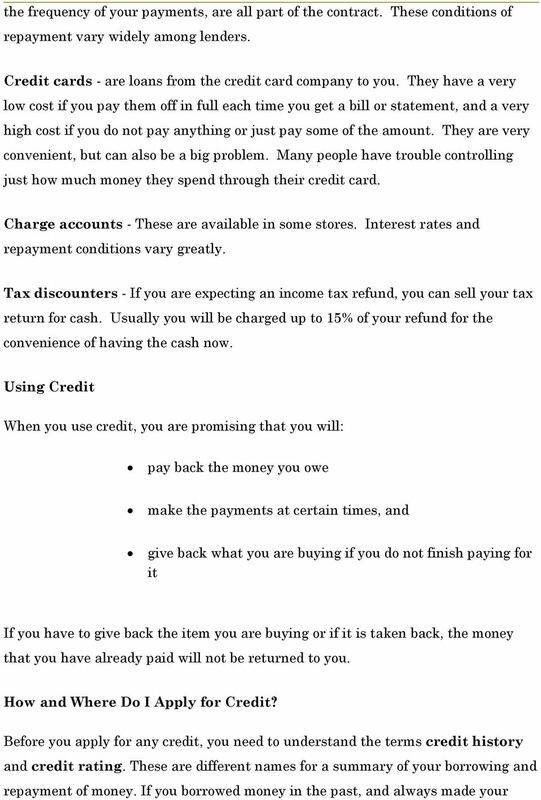 Understanding Your Credit Report What is credit? Credit is the use of someone else s money in exchange for a promise to pay it back on a given date. 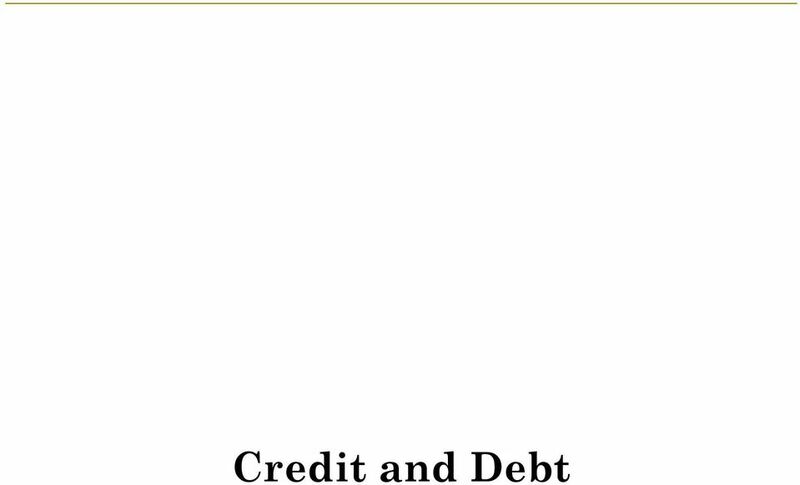 There are two major types of credit: Revolving and Installment. PAYDAY LOANS. 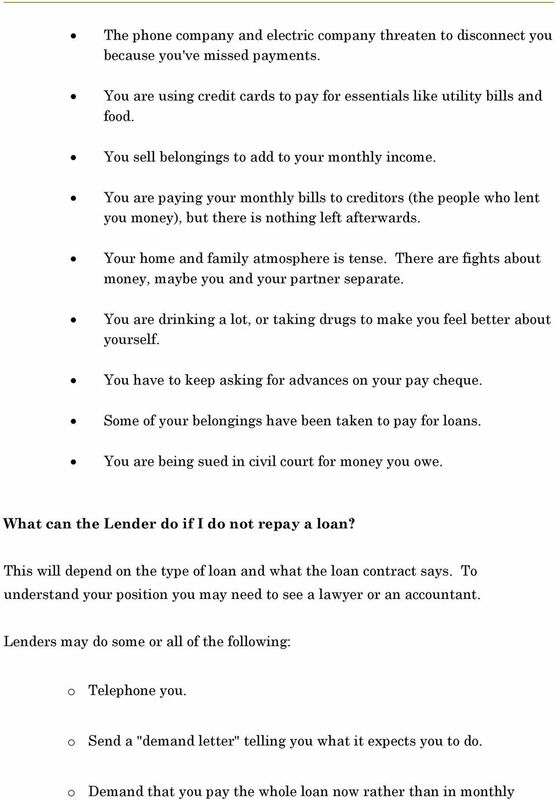 What is a payday loan? 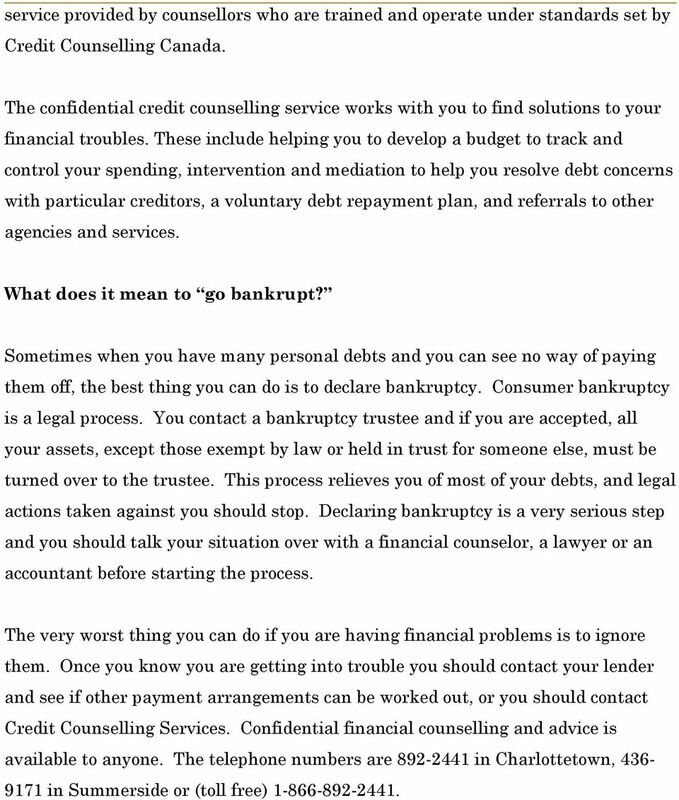 What You Should Know About Bankruptcy What Is Bankruptcy? FSA Credit Counseling Service Debt Management Program Client Handbook Client Number: Confidentiality All services provided by CCS are strictly confidential. You have been asked to sign a "Release of Information"
Financial Empowerment Curriculum Moving Ahead Through Financial Management Workshop Credit Overview 1 Workshop Objectives Explain why credit is important. Access and read a copy of your credit report. It lets you pay for expenses you could not afford with cash, such as a college education, a new vehicle, furniture or a home. USING CREDIT WISELY Credit Is An Important Financial Tool It lets you pay for expenses you could not afford with cash, such as a college education, a new vehicle, furniture or a home.